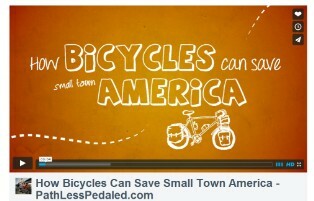 Each year new studies show that investments in safe and attractive bicycling communities pay economic dividends. When bicycle travel is embraced by a community, both the cyclists and the community benefit. 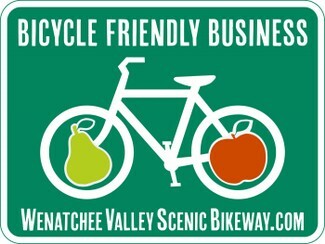 On this page we hope to highlight a growing number of businesses, such as those displaying our sign below, that have recognized this trend and accommodate cyclists both on and off the Wenatchee Valley Scenic Bikeway. Eventually our goal is to provide route maps with these business locations highlighted. (Click here for a list of some of the characteristics that make a business "Bike Friendly"). Please show support for these businesses. 1. Hot Rodzz Espresso - 15 N. Worthen, Wenatchee WA, in the Airstream at Pybus Market. 2. Hot Rod Cafe - 2960 Easy Street, Monitor WA. 3. Rusty's Drive In - 700 Cotlets Way, Cashmere WA. 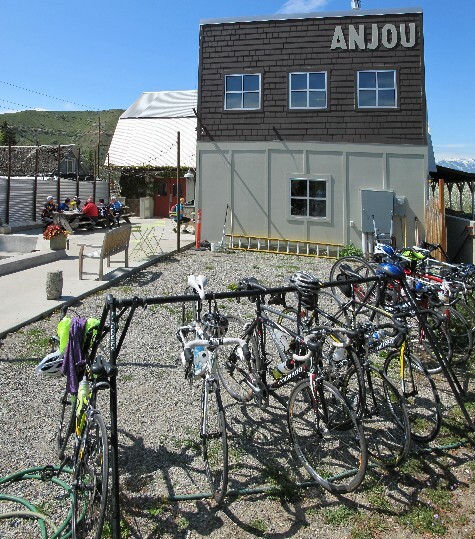 LEARN MORE ABOUT the relationship between BICYCLE TOURISM and the impact on local economies. 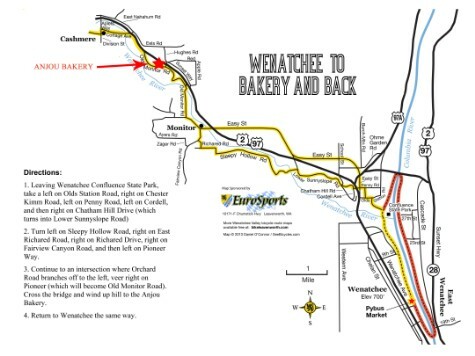 supporting the Wenatchee Valley Scenic Bikeway enhances local economy.